The small Texas school that I went to had a tradition carried out every year during the eighth-grade graduation: a beautiful gold and green jacket (the school colors) was awarded to the class valedictorian, the student who had maintained the highest grades for eight years. 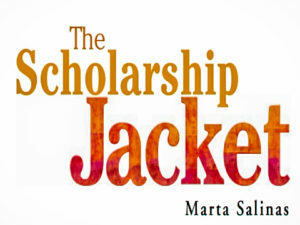 The scholarship jacket had a big gold “S” on the left front side and your name written in gold letters on the pocket. My oldest sister, Rosie, had won the jacket a few years back, and I fully expected to also. I was fourteen and in the eighth grade. I had been a straight A student since the first grade and this last year had looked forward very much to owning that jacket. My father was a farm laborer who couldn’t earn enough money to feed eight children, so when I was six I was given to my grandparents to raise. 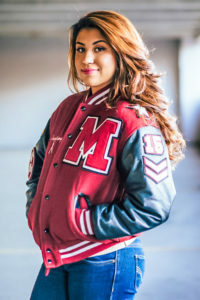 We couldn’t participate in sports at school because there were registration fees, uniform costs, and trips out of town; so, even though our family was quite agile and athletic there would never be a school sports jacket for us. This one, the scholarship jacket, was our only chance. In May, close to graduation, spring fever had struck as usual with a vengeance. No one paid any attention in class; instead we stared out the windows and at each other, wanting to speed up the last few weeks of school. I despaired every time I looked in the mirror. Pencil thin, not a curve anywhere. I was called “beanpole” and “string bean,” and I knew that’s what I looked like. A flat chest, no hips, and a brain; that’s what I had. That really wasn’t much for a fourteen-year-old to work with, I thought, as I absent-mindedly wandered from my history class to the gym. Another hour of sweating in basketball and displaying my toothpick legs was coming up. Then I remembered my P.E. shorts were still in a bag under my desk where I’d forgotten them. I had to walk all the way back and get them. Coach Thompson was a real bear if someone wasn’t dressed for P.E. She had said I was a good forward and even tried to talk Grandma into letting me join the team once. Of course Grandma said no. I was almost back at my classroom door when I heard voices raised in anger as if in some sort of argument. I stopped. I didn’t mean to eavesdrop, I just hesitated, not knowing what to do. I needed those shorts and I was going to be late, but I didn’t want to interrupt an argument between my teachers. I recognized the voices: Mr. Schmidt, my history teacher, and Mr. Boone, my math teacher. They seemed to be arguing about me. I couldn’t believe it. I still remember the feeling of shock that rooted me flat against the wall as if I were trying to blend in with the graffiti written there. “I refuse to do it! I don’t care who her father is, her grades don’t even begin to compare to Martha’s. I won’t lie or falsify records. Martha has a straight A-plus average and you know it.” That was Mr. Schmidt and he sounded very angry. Mr. Boone’s voice sounded calm and quiet. The pounding in my ears drowned out the rest of the words, only a word here and there filtered through. “. . . Martha is Mexican . . . resign . . . won’t do it . . . . ” Mr. Schmidt came rushing out and luckily for me went down the opposite way toward the auditorium, so he didn’t see me. Shaking, I waited a few minutes and then went in and grabbed my bag and fled from the room. Mr. Boone looked up when I came in but didn’t say anything. To this day I don’t remember if I got in trouble in P.E. for being late or how I made it through the rest of the afternoon. I went home very sad and cried into my pillow that night so Grandmother wouldn’t hear me. It seemed a cruel coincidence that I had overheard that conversation. The next day when the principal called me into his office I knew what it would be about. He looked uncomfortable and unhappy. I decided I wasn’t going to make it any easier for him, so I looked him straight in the eyes. He looked away and fidgeted with the papers on his desk. I stared at him in shock, and a small sound of dismay escaped my throat. I hadn’t expected this. He still avoided looking in my eyes. “So if you are unable to pay the fifteen dollars for the jacket it will be given to the next one in line.” I didn’t need to ask who that was. Standing with all the dignity I could muster, I said, “I’ll speak to my grandfather about it, sir, and let you know tomorrow.” I cried on the walk home from the bus stop. The dirt road was a quarter mile from the highway, so by the time I got home, my eyes were red and puffy. “Where’s Grandpa?” I asked Grandma, looking down at the floor so she wouldn’t ask me why I’d been crying. She was sewing on a quilt as usual and didn’t look up. I went outside and looked out at the fields. There he was. I could see him walking between the rows, his body bent over the little plants, hoe in hand. I walked slowly out to him, trying to think how I could best ask him for the money. There was a cool breeze blowing and a sweet smell of mesquite fruit in the air, but I didn’t appreciate it. I kicked at a dirt clod. I wanted that jacket so much. It was more than just being a valedictorian and giving a little thank you speech for the jacket on graduation night. It represented eight years of hard work and expectation. I knew I had to be honest with Grandpa; it was my only chance. He saw my shadow and looked up. He waited for me to speak. I cleared my throat nervously and clasped my hands behind my back so he wouldn’t see them shaking. “Grandpa, I have a big favor to ask you,” I said in Spanish, the only language he knew. He still waited silently. I tried again. “Grandpa, this year the principal said the scholarship jacket is not going to be free. It’s going to cost fifteen dollars, and I have to take the money in tomorrow, otherwise it’ll be given to someone else.” The last words came out in an eager rush. Grandpa straightened up tiredly and leaned his chin on the hoe handle. He looked out over the field that was filled with the tiny green bean plants. I waited, desperately hoping he’d say I could have the money. I answered quickly; maybe there was a chance. “It means you’ve earned it by having the highest grades for eight years and that’s why they’re giving it to you.” Too late I realized the significance of my words. Grandpa knew that I understood it was not a matter of money. It wasn’t that. He went back to hoeing the weeds that sprang up between the delicate little bean plants. It was a time-consuming job; sometimes the small shoots were right next to each other. Finally he spoke again as I turned to leave, crying. I walked back to the house and locked myself in the bathroom for a long time. I was angry with Grandfather even though I knew he was right, and I was angry with the Board, whoever they were. Why did they have to change the rules just when it was my turn to win the jacket? Those were the days of belief and innocence. It was a very sad and withdrawn girl who dragged into the principal’s office the next day. This time he did look me in the eyes. I sat very straight in my chair. The principal muttered something I couldn’t understand under his breath and walked over to the window. He stood looking out at something outside. He looked bigger than usual when he stood up; he was a tall, gaunt man with gray hair, and I watched the back of his head while I waited for him to speak. I looked at him, forcing my eyes to stay dry. “I know, sir, but he said if I had to pay for it, then it wouldn’t be a scholarship jacket.” I stood up to leave. “I guess you’ll just have to give it to Joann.” I hadn’t meant to say that, it had just slipped out. I was almost to the door when he stopped me. I turned and looked at him, waiting. What did he want now? I could feel my heart pounding loudly in my chest and see my blouse fluttering where my breasts should have been. Something bitter and vile tasting was coming up in my mouth; I was afraid I was going to be sick. I didn’t need any sympathy speeches. He sighed loudly and went back to his big desk. He watched me, biting his lip. I could hardly believe my ears. I spoke in a trembling rush. “Oh, thank you, sir!” Suddenly I felt great. I didn’t know about adrenalin in those days, but I knew something was pumping through me, making me feel as tall as the sky. I wanted to yell, jump, run the mile, do something. I ran out so I could cry in the hall where there was no one to see me. His face looked as happy and innocent as a baby’s, but I knew better. Without answering I gave him a quick hug and ran to the bus. I cried on the walk home again, but this time because I was so happy. I couldn’t wait to tell Grandpa and ran straight to the field. I joined him in the row where he was working, and without saying anything I crouched down and started pulling up the weeds with my hands. Grandpa worked alongside me for a few minutes, and he didn’t ask what had happened. After I had a little pile of weeds between the rows, I stood up and faced him. Grandpa didn’t say anything; he just gave me a pat on the shoulder and a smile. He pulled out the crumpled red handkerchief that he always carried in his back pocket and wiped the sweat off his forehead. I gave him a big grin. He didn’t fool me. I skipped and ran back to the house whistling some silly tune. 1. Who won the scholarship jacket? 2. Why did Martha think that no one in her family would ever win the sports jacket? 3. 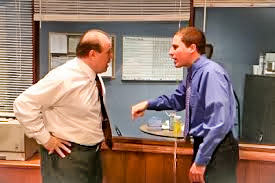 What did Martha hear Mr. Schmidt and Mr. Boone discussing? 4. Why did Mr. Boone think that Joann should win the scholarship jacket? 5. Why did Martha have to ask her grandfather for money? 6. Why did Grandpa say no? 7. Why did the school ask Martha for money for the jacket? 8. 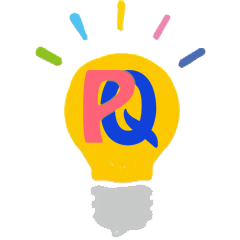 Why did the principal decide to give the jacket to Martha, even though she did not have the money?